PATAGONIA. 65586RWX. GIRLS RETOOL SNAP T FLEECE PULLOVER. 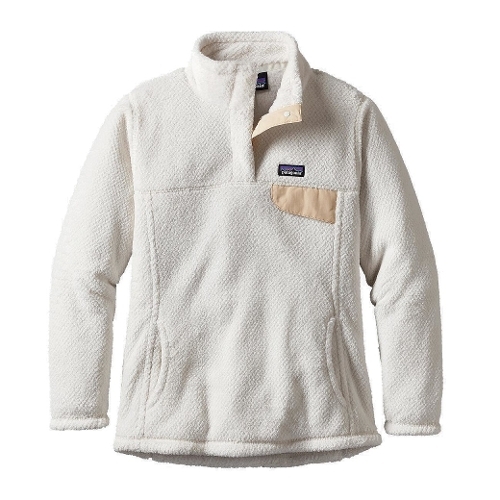 RAW WHITE LINEN.Made of warm Polartec Thermal Pro 100 polyester 51 recycled fleece the Re-Tool Snap-T Pullover has kangaroo-style handwarmer pockets. Fair Trade Certified sewing.